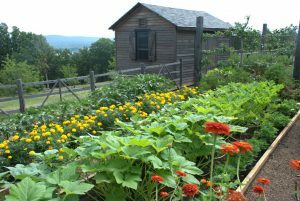 Home › 2016-investment › Grow your own veggies – there are many benefits! Grow your own veggies – there are many benefits! Experienced gardeners will agree: few things give you more satisfaction than harvesting and using vegetables from your own garden – juicy carrots, lovely cauliflower and crisp lettuce to be served fresh. There are many reasons for planting your own vegetables, according to Johann van der Merwe, horticulturist from Newcastle. He adds that further advantages are the availability of your own vegetables, the fact that you can use only as much as you need and that you can plant vegetables that you and your family love. But when do you plan what? Toit Maritz writes on his popular vegetable garden blog, www.toit-groentetuin.blogspot.co.za, that annually he more or less follows a chronological approach. He lives in the vicinity of Johannesburg, and conditions differ between areas, so keep that in mind. September: Your garden is still resting and only the winter plants remain. It is always a temptation to start planting your summer garden now. This is a mistake; they will not survive, or you will have weak plants. Now is the time to work compost into your garden. October: The first rains have (hopefully) already fallen or will do so soon. Plant tasty summer veggies such as sweet corn, vegetable marrows, potatoes and lemon squash. Harvest the onions and garlic from your winter garden. November to mid-December: Replace any summer seeds you planted in October that did not germinate or died. If the tomato seeds that you planted in October did not germinate properly, buy seedlings from the nursery – also aubergines and chillies. You can now also plant pumpkin seeds. After the rains be on the lookout for weeds, which will flourish. Early-January: You are back from holiday and everything has grown abundantly. Harvest your veggies and enjoy them. You can still plant the following: Vegetable marrows, potatoes and fruit trees. Late-January: Plant the seeds of winter vegetables in containers or in protected beddings; onions, cos lettuce, rocket salad, celery and spinach. Mid- to late-February: The old pumpkin-runners start to turn yellow and brown and are not yielding much. Harvest the last few and remove the runners. Plant sweet-potatoes. March to mid-May: Harvest your remaining veggies and tidy up your garden. The nights become longer and temperatures start to decline. Now is the time to get control of your garden. Plant winter veggies such as broad beans, peas and garlic. End-May to end-July (Winter): No rain, but frost. Your sweet-potatoes are ready to be harvested. You cannot plant anything until end-September, so just tend to your winter plants. Hint: Consult the back of the different packages about when the different kinds of vegetables should be sown. All the information regarding spacing and fertilising is also indicated.